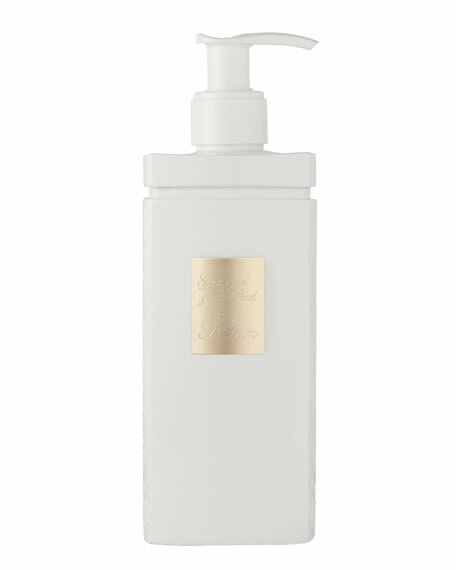 The shower gel is the first layer of your perfuming ritual, with its light yet effective lathering. The fragrance is true to itself and, when shower gel, body lotion and perfume are used in a three-part layering ritual, the perfume trail is profound, prolonged and absolutely pitch perfect. The uninhibited Good girl gone Bad finds herself in a luscious floral whirlwind in the garden of good and evil. Half-innocent, half-voluptuous, the apricot-tinged osmanthus absolute, orange blossom and rose of May absolute that open the fragrance are beholden by the ultimate temptress: an explosion of the three-sirens of flowers: tuberose absolute, jasmine and narcissus. 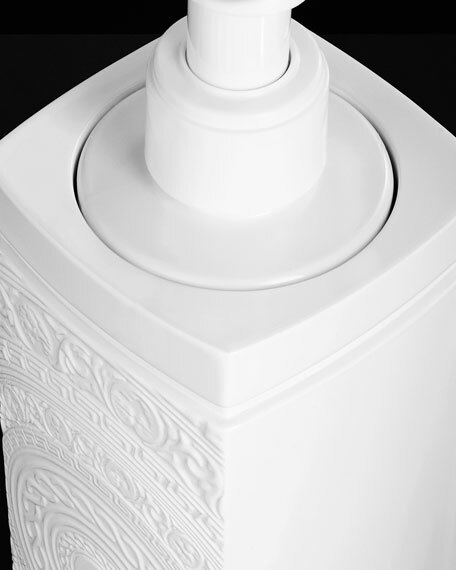 Kilian has crafted a sleek and stylized vessel for the bath and body refills. It is a covetable object in itself designed to stand beautifully in our bathrooms. Following several years of development, a shower gel and body lotion have been custom-formulated with uncompromising respect for the quality and integrity of each fragrance blend. 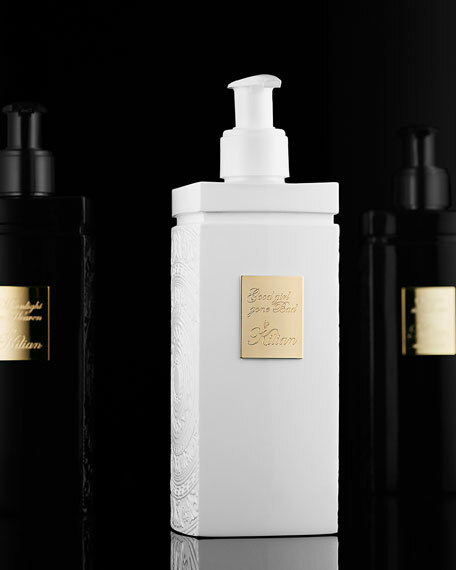 The Kilian Bath & Body Collection is a new adventure in the elaboration of the modern perfuming ritual. Scent meets skin, now in multiple forms, with the art of perfume always in perfect frame.